Author/Opus: This is the 223rd puzzle from our contributing puzzlemaster Serkan Yürekli. Rules: Standard Balance Loop rules. Note: Follow this link for other Balance Loop puzzles and this link for other less common Loop variations. More Balance Loops can be found in our beginner-friendly collection Intro to GMPuzzles by Serkan Yürekli. Author/Opus: This is the 158th puzzle from our contributing puzzlemaster Serkan Yürekli. 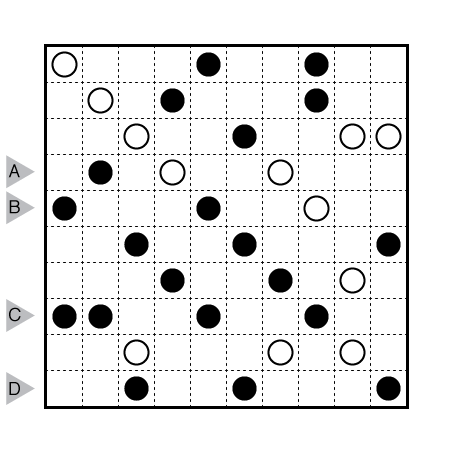 Rules: This puzzle combines four loop varieties commonly featured at GMPuzzles: Balance Loop (upper left), Yajilin (upper right), Castle Wall (lower left), and Masyu (lower right). Draw a single, non-intersecting loop throughout all four quadrants. The loop may enter and exit the different quadrants as many times as needed. Balance Loop: Use the entire length of segments (including parts of the segments that extend into an adjacent quadrant) when determining the balanced/unbalanced status of a circle clue. Yajilin: The arrow clues refer only to shaded cells within the Yajilin quadrant. The loop must occupy all cells adjacent to a shaded cell, even in an adjacent quadrant. Author/Opus: This is the 7th puzzle from guest contributor Bryce Herdt. Rules: (Standard Balance Loop rules.) Draw a single, non-intersecting loop that passes through all circled cells. All white circles must have equal segment lengths on both sides of the circle before turning. All black circles must have unequal segment lengths on both sides of the circle before turning. Numbers indicate the sum of the segment lengths on both sides of the circle. Answer String: Enter the length in cells of the horizontal loop segments from left to right in the marked rows, starting at the top. If the loop only has vertical segments in the marked row, enter 0. Separate each row’s entry with a comma. This example has the key “11,311”. Note: Follow this link for other Balance Loop puzzles and this link for other less common Loop variations. 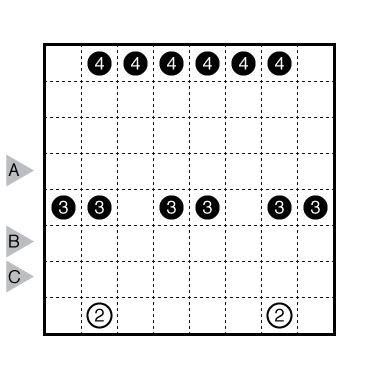 Author/Opus: This is the 21st puzzle from our contributing puzzlemaster Carl Worth. Rules: Combination of Masyu and Balance Loop rules. 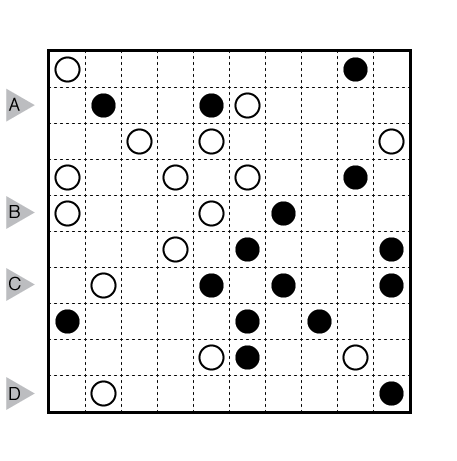 In each horizontal row, all the circles obey the same rules, which are Masyu rules or Balance Loop rules. 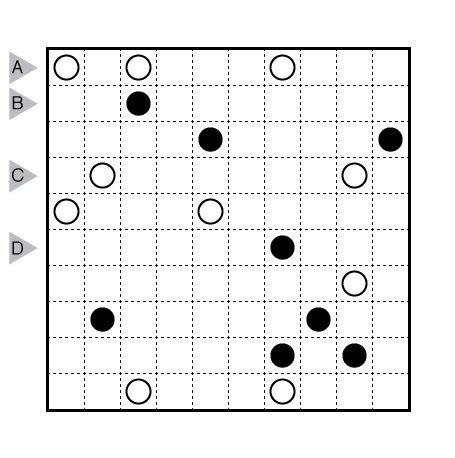 You must determine what rule applies to each row in order to form the single loop that solves the puzzle. 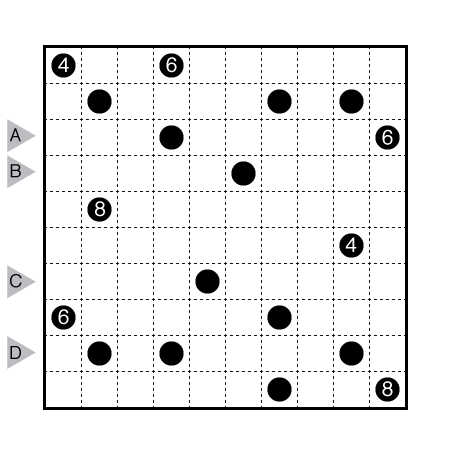 Note: Follow this link for other Masyu and Balance Loop puzzles. Author/Opus: This is the 57th puzzle from our contributing puzzlemaster Murat Can Tonta. 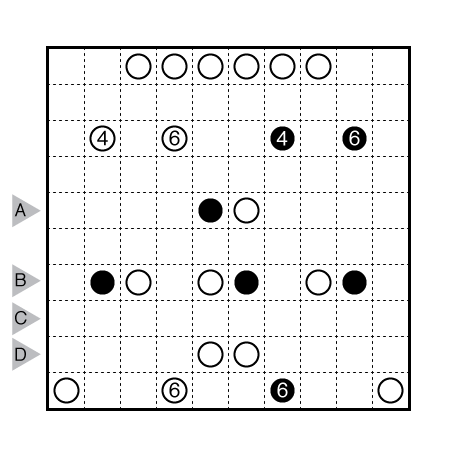 Author/Opus: This is the 146th puzzle from our contributing puzzlemaster Prasanna Seshadri. 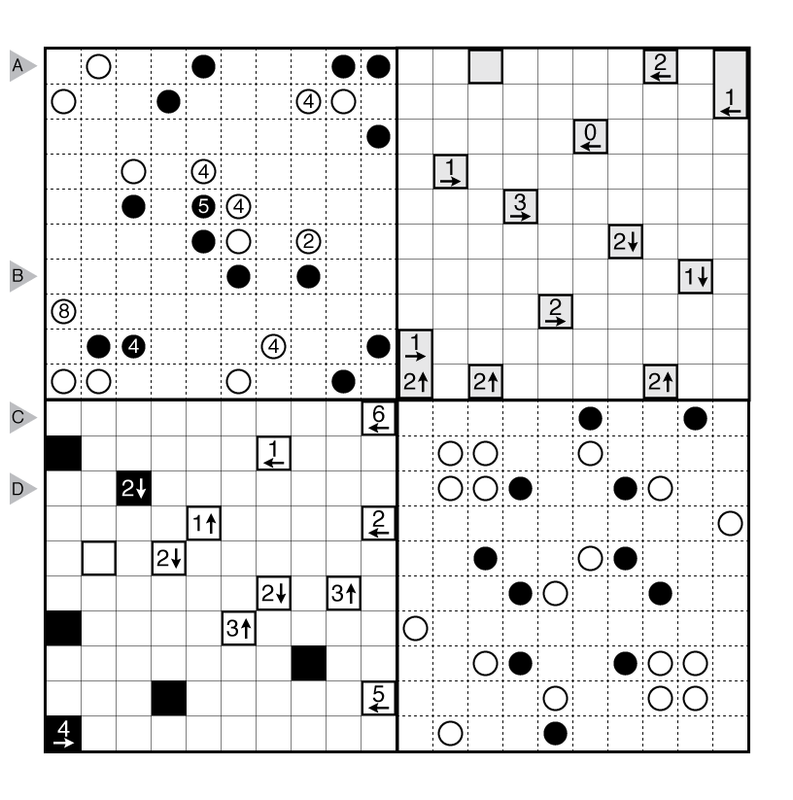 Author/Opus: This is the 94th puzzle from our contributing puzzlemaster Prasanna Seshadri. Note: Follow this link for other less common Loop variations.